Berghammer is proud to be part of this project for the Carmelite Sisters of the Divine Heart of Jesus. The 15-unit complex will serve as a home for women with intellectual and developmental disabilities. The sisters also plan to develop programs aimed at enriching the lives of the women who live there and the surrounding community. 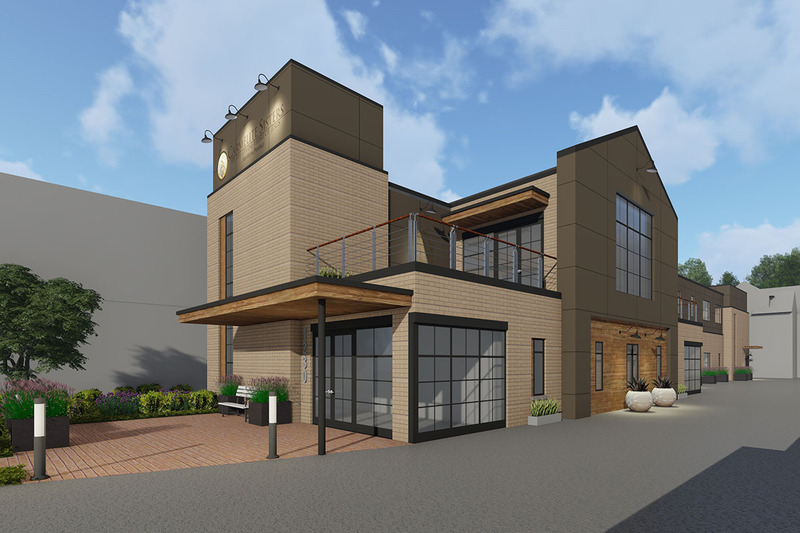 Get the full story on the ministry home that is set to open this fall. 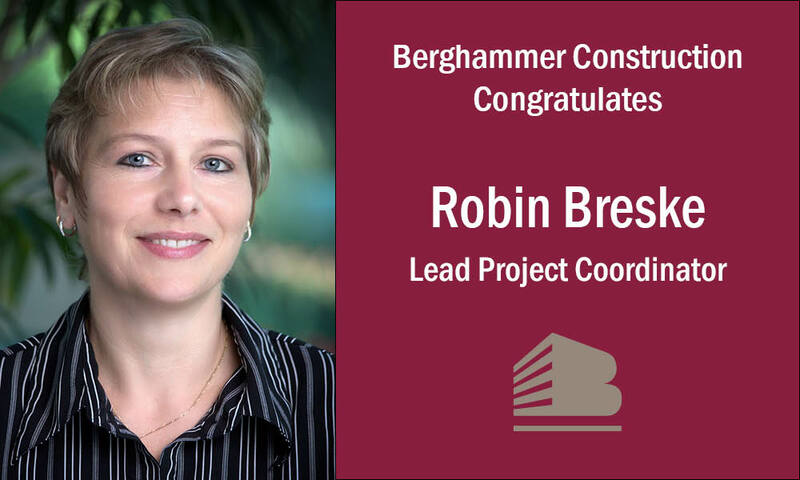 We’re happy to announce that Robin Breske has been promoted to Lead Project Coordinator. Robin’s dedication is deeply appreciated and recognition of her hard work is well deserved. 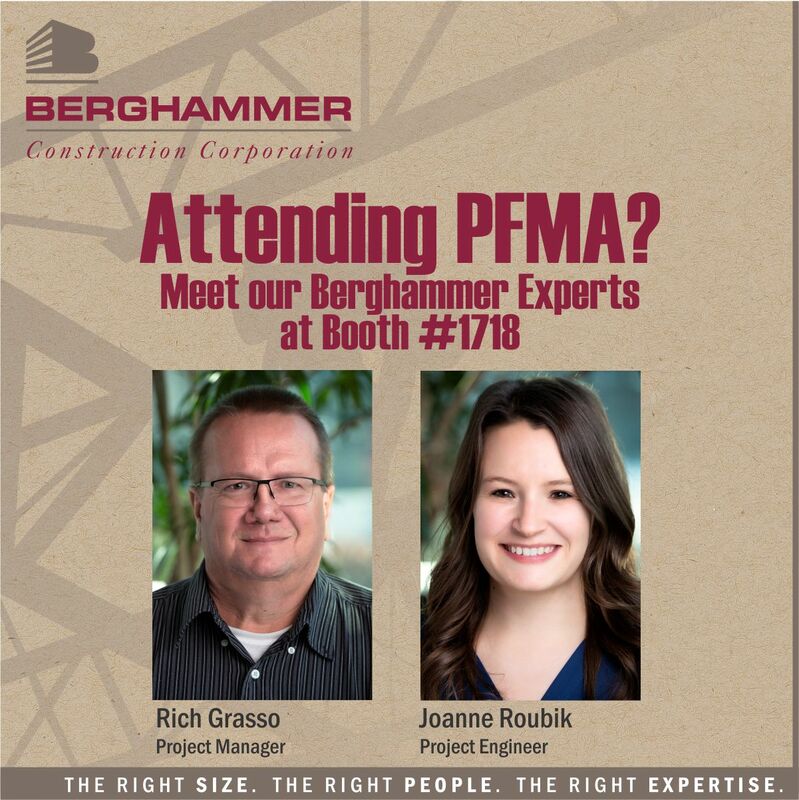 Rich Grasso and Joanne Roubik will be at PFMA later this week. 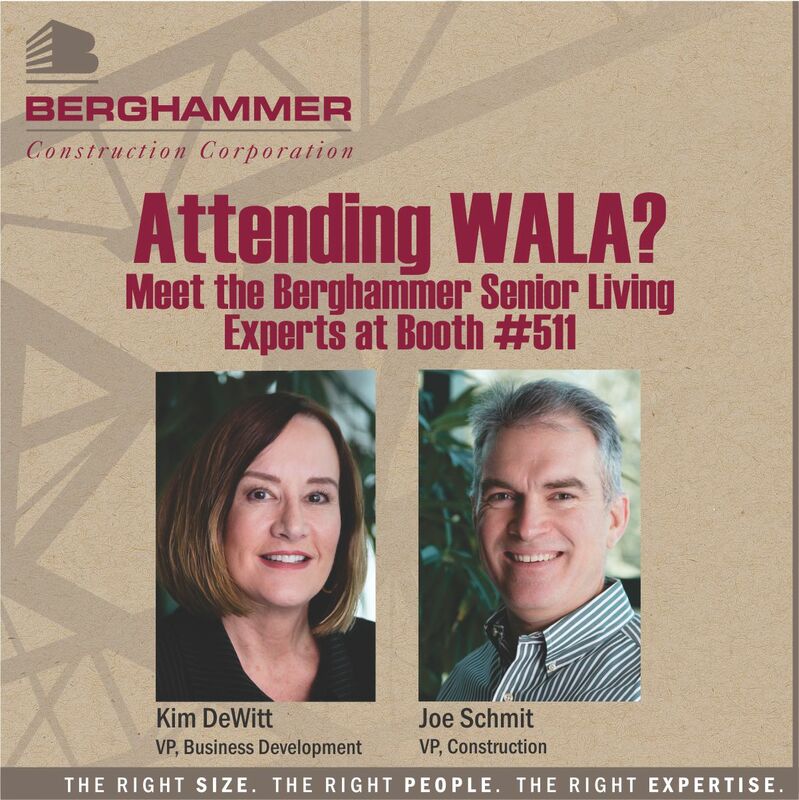 You’re more than welcome to stop by the Berghammer booth and say hello! Attending WALA this week? Stop by and say hello to our senior living facility experts, Kim DeWitt and Joe Schmit. Women in Construction Week is a great way to recognize the different career paths that women are pursuing and how a growing number of women are finding fulfillment in a construction career. 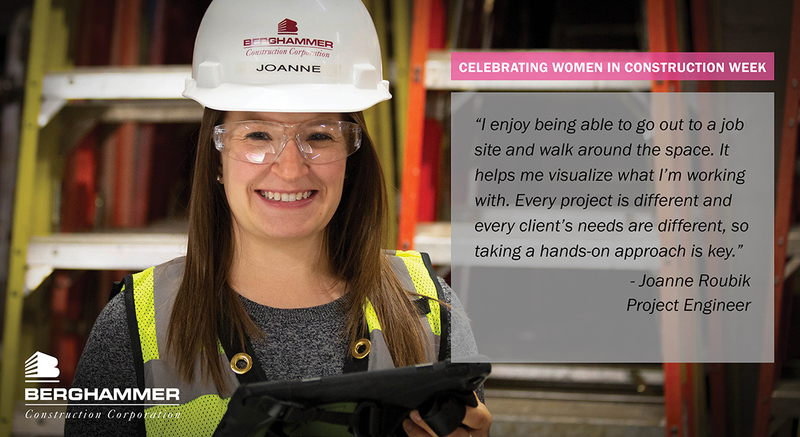 We talked to Project Engineer, Joanne Roubik, who has been in construction for 6 years to see what drew her to the industry. I work specifically on special projects which involves a lot of smaller renovations for offices and retail spaces. I really liked math in school and that lead me to studying Engineering at Marquette. I also like being able to help people when I can complete a project that will have an impact on their everyday lives. I enjoy being able to go out to a job site and walk around the space. It helps me visualize what I’m working with. Every project is different and every client’s needs are different, so taking a hands-on approach is key. I also get to interact with a lot of different people and gain knowledge from their experiences. At Berghammer, a third of our office staff is comprised of women with a number of those women holding leadership roles. The construction industry has viable opportunities for women who want to build their careers and have room to grow. One of those women is Megan Mosher. Megan is a Project Coordinator who has been in the construction industry for 4 years. We asked Megan about her role at Berghammer in recognition of Women in Construction Week. I’ve worked on a variety of things including special projects, healthcare projects, restaurants, office renovations and senior living facilities. What drew you to project coordination? This job is in many ways similar to the responsibilities I had in the Army where I helped coordinate operations for my battalion. In my current role, I work with people inside and outside the company to manage multiple projects and milestones, so it’s important to know how to maintain relationships and keep the lines of communication open. I’m never bored! I like that my job is fast-paced and that there are always multiple projects going on at the same time. I have the chance to learn something new every day and that’s really rewarding. I’ve learned a lot about construction over the years and all of the project managers are really good at explaining things when I have questions. I also take the opportunity when I can to visit job sites. It’s really helpful to see the site at different times in the process to put things in perspective.